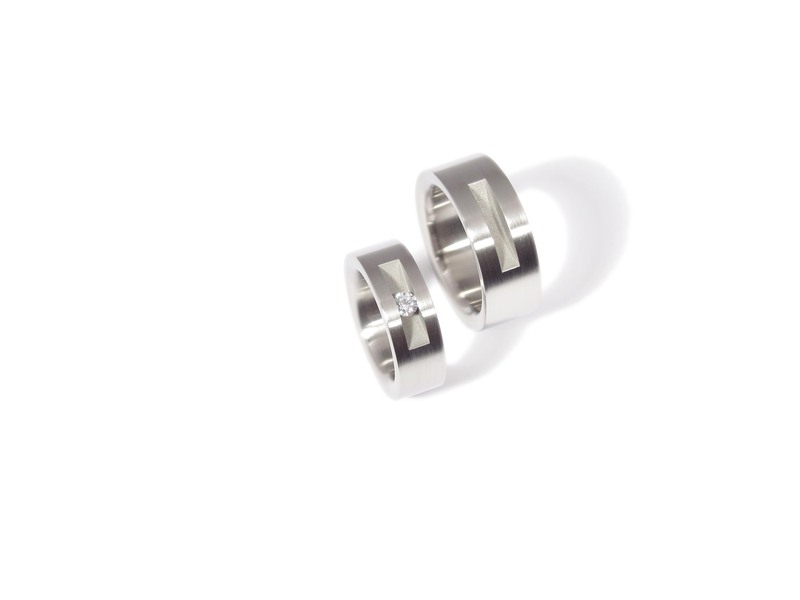 Stainless steel rings with a brushed finish. One ring features a 0.20crt TW-VS brilliant cut white diamond. 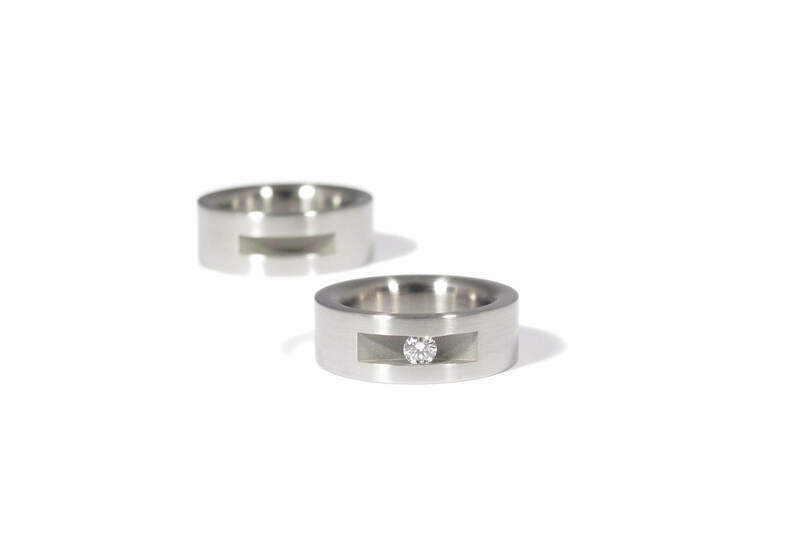 These rings have a rounded inside edge.